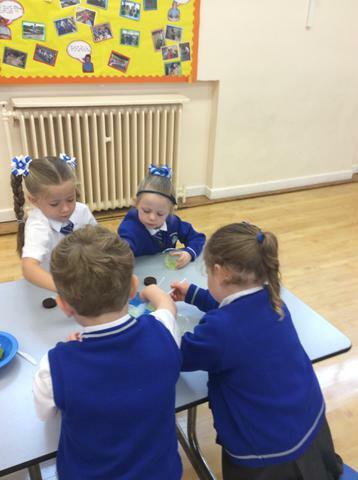 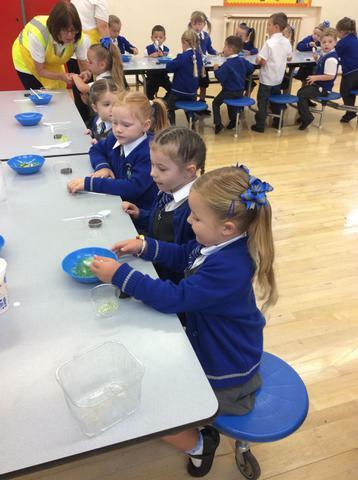 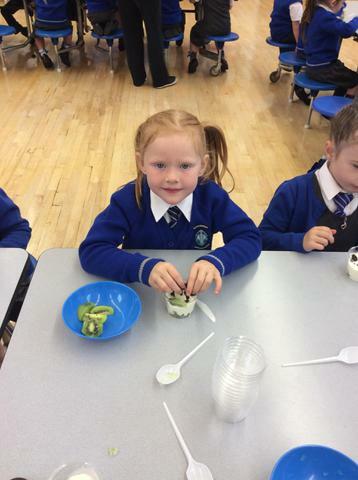 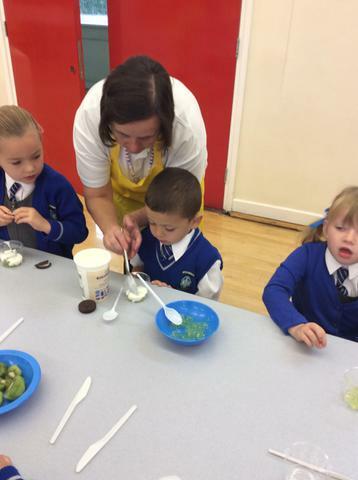 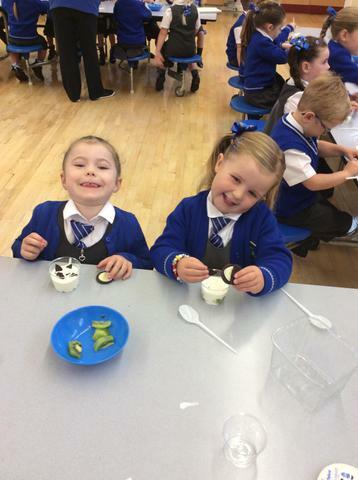 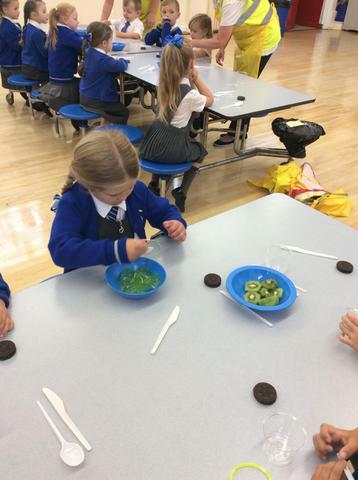 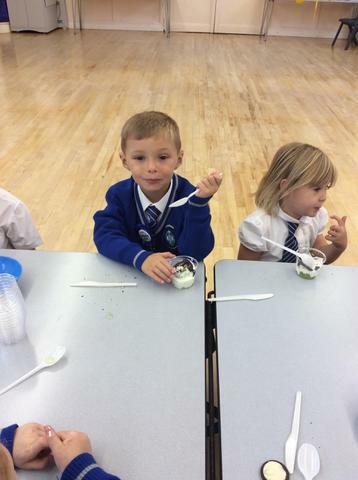 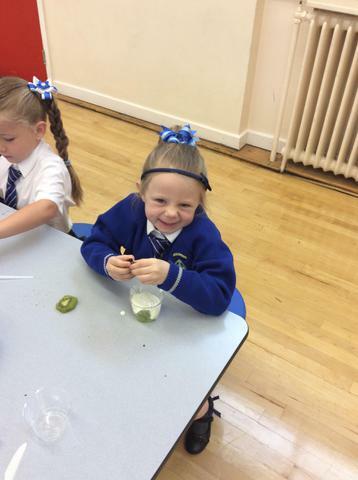 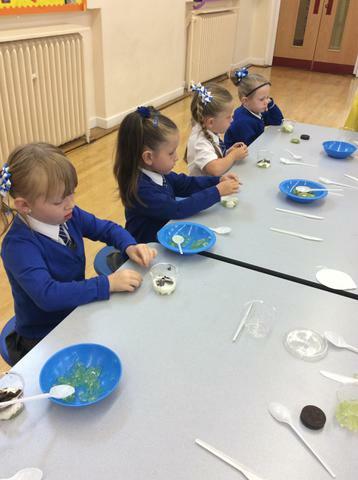 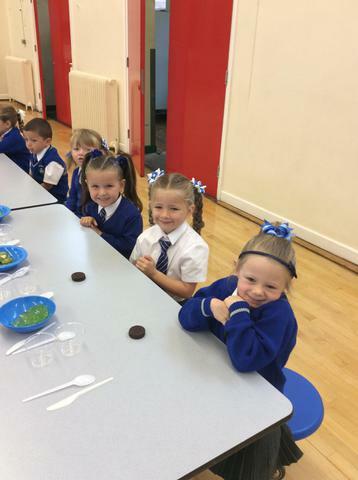 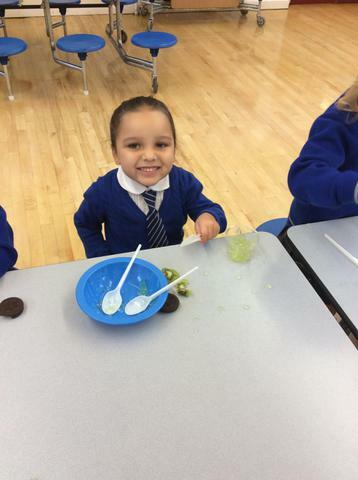 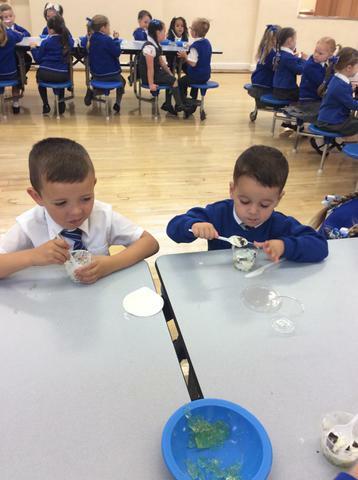 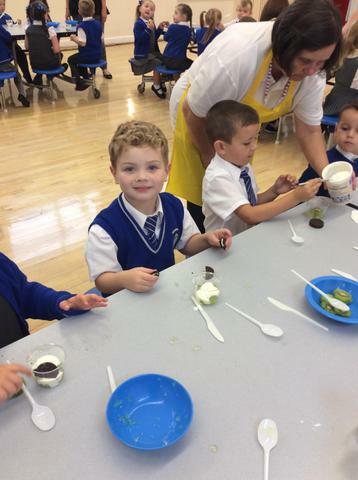 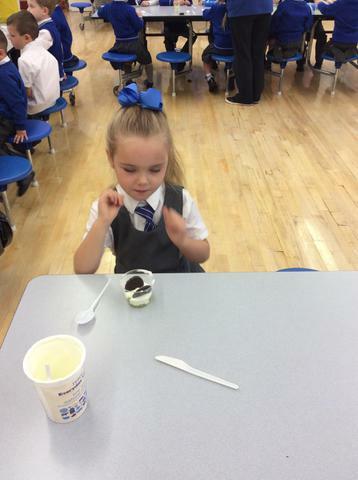 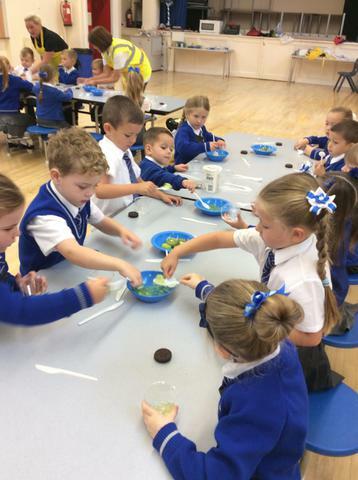 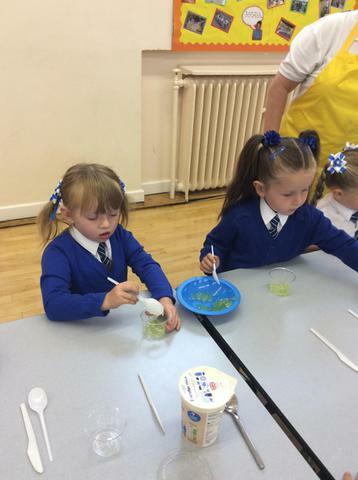 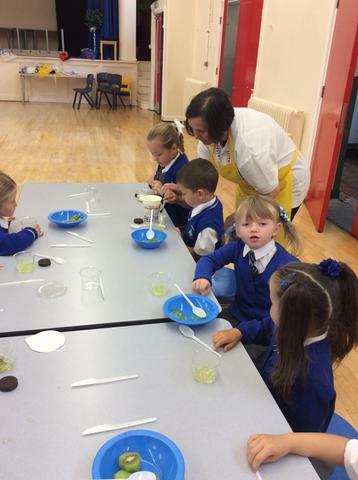 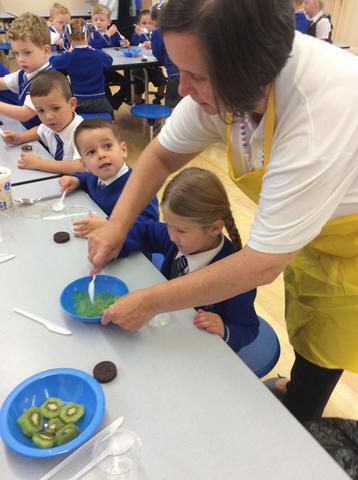 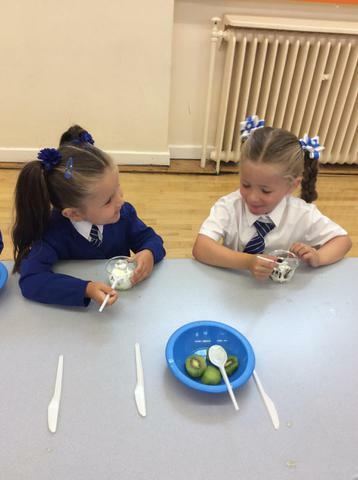 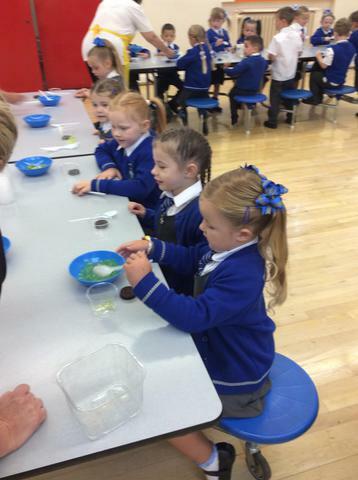 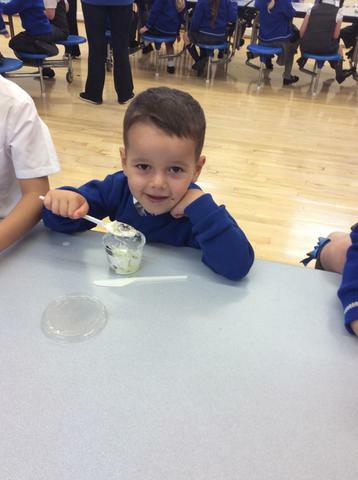 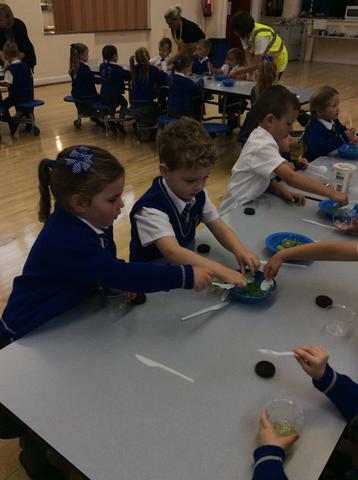 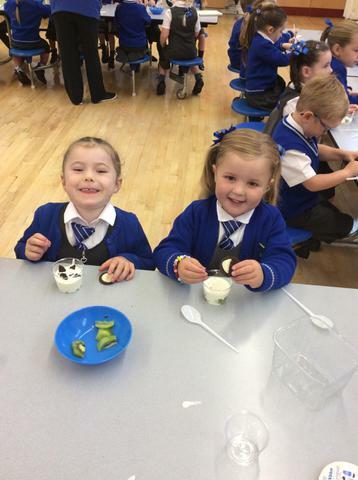 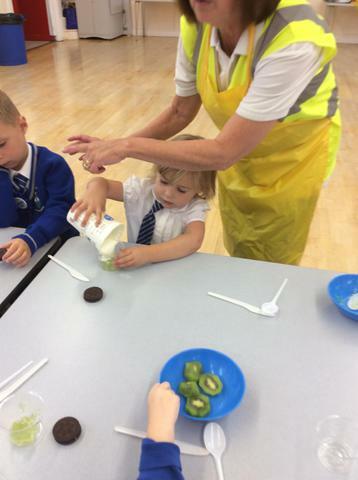 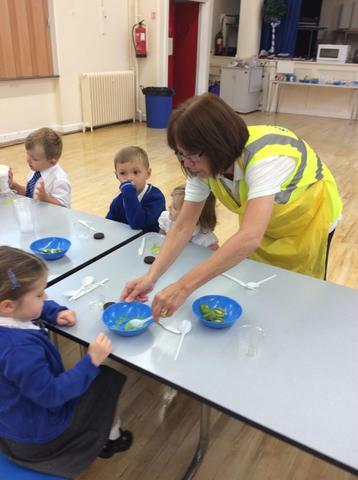 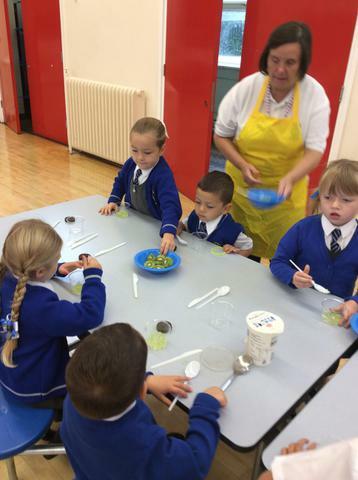 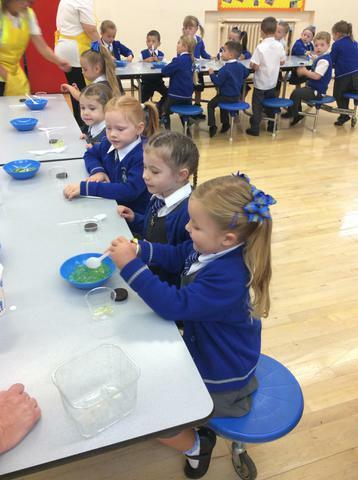 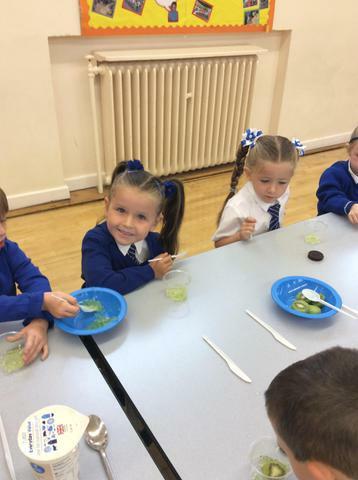 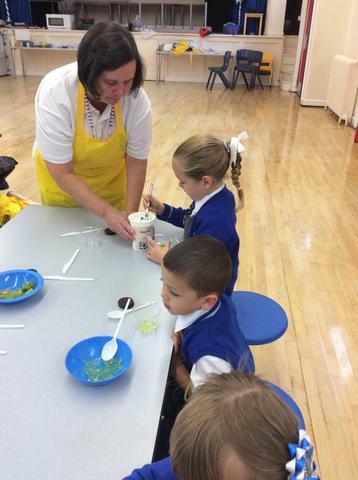 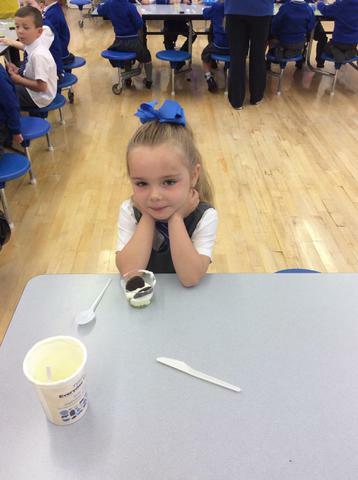 We had lots of fun making sundaes today with Mrs Rotherham! 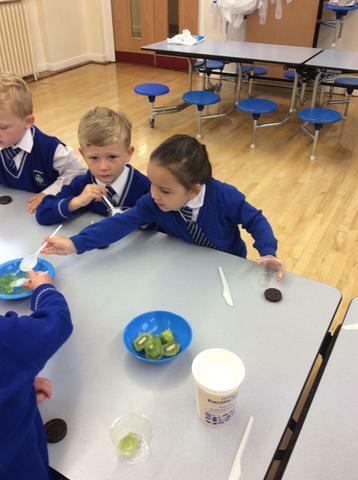 We had to listen carefully and follow the instructions so we knew what to do. 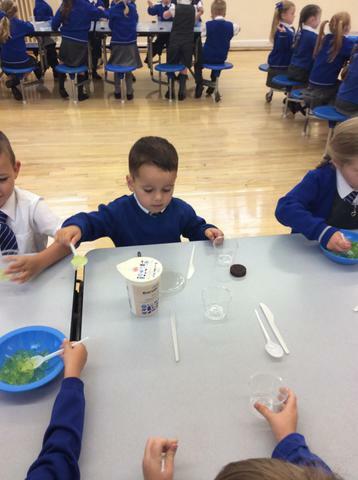 First, we had to use our spoons to scoop the jelly into our cups. 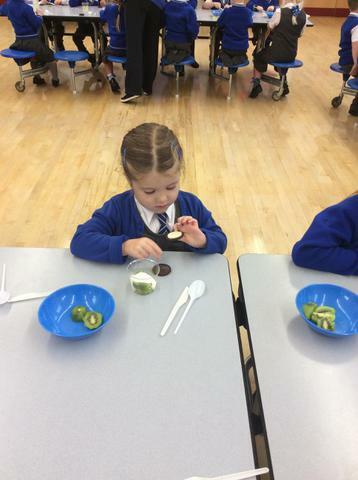 Then we had to use a knife and cut up the kiwi and put it on top of the jelly. 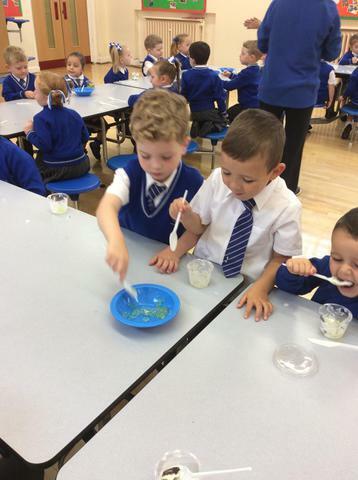 After that, we had to scoop some yoghurt on top, being careful not to make a great big mess! 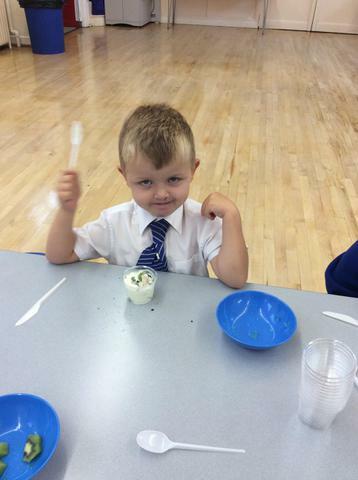 Finally, we used our fingers to crumble some biscuit pieces on the top. 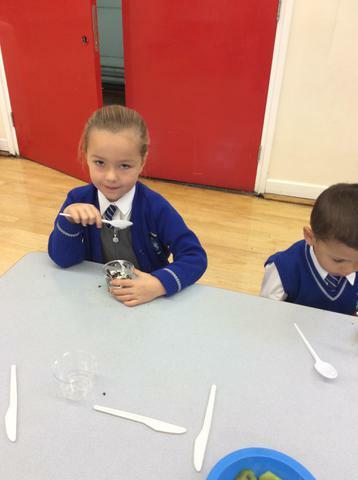 When we had made our sundaes, we all had a taste. 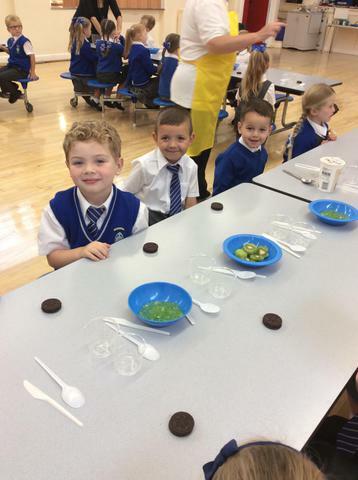 Some of us really liked them and Bobby P, Archie and Francis even had seconds! 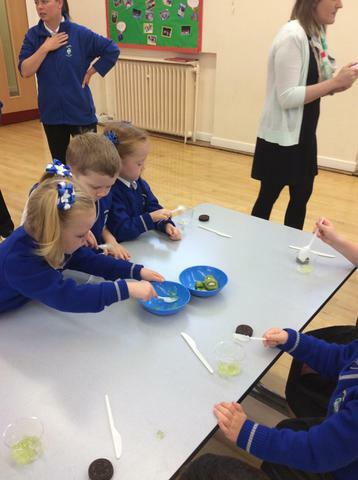 Some of us weren't so keen, but Miss Harrison was really proud of us for trying new food. 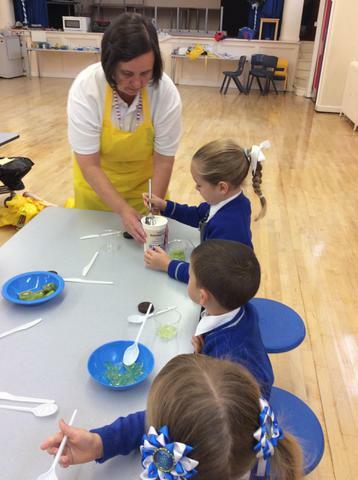 We all said we enjoyed making the sundaes and we would like to make them again. 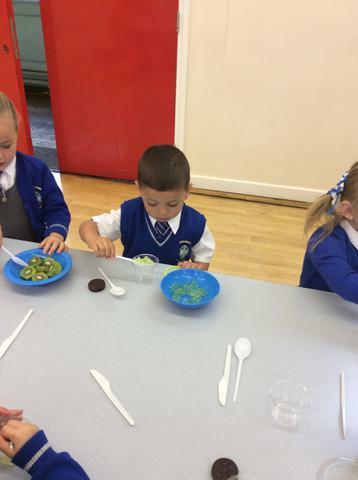 Maybe you could make some at home and try using different fruit?